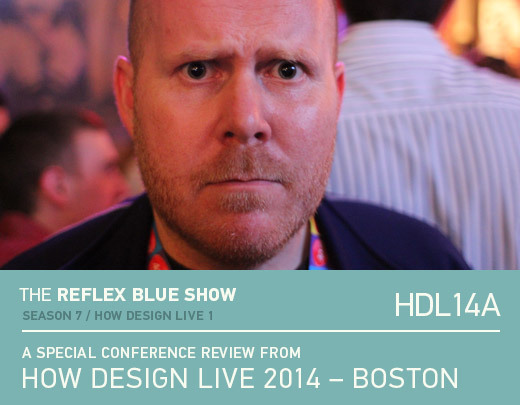 Has is already been a week since I arrived at HOW Design Live in Boston? With the first of our three recaps (this one recorded on Tuesday, May 13th), I interview a few attendees, sponsors, and speakers during the opening reception. First, big thanks to Neenah Paper for having me out to blog from the conference again (read my reports here), and for letting me use their booth to record from. Hopefully we captured part of the excitement that is HOW with guests Bennett Holzworth, Justin Ahrens, Jamie Saunders, and Andy Epstein. We’ll be back tomorrow with our second recap. Enjoy.